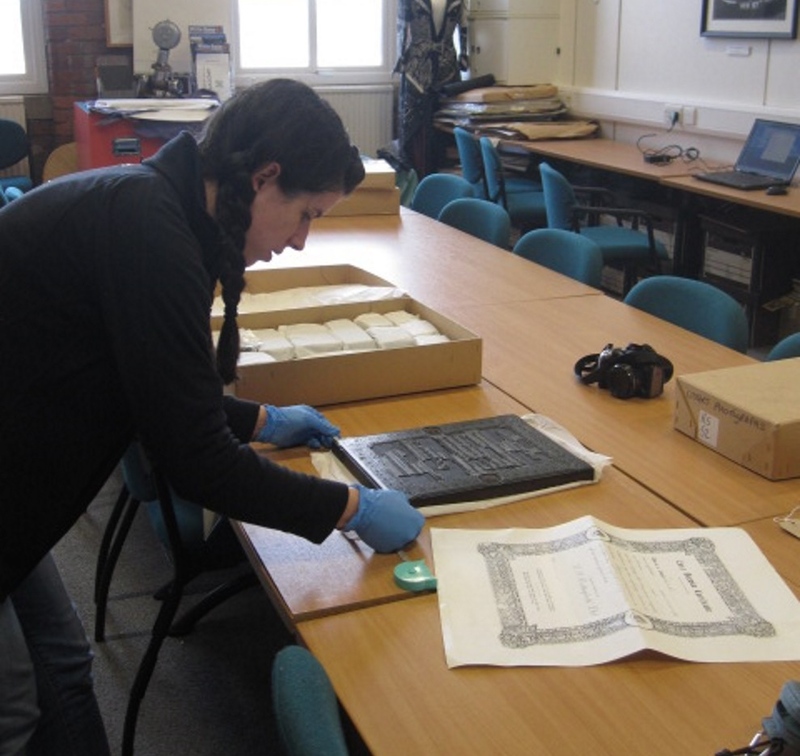 Caroline conserving an object as part of her course work at Lincoln. 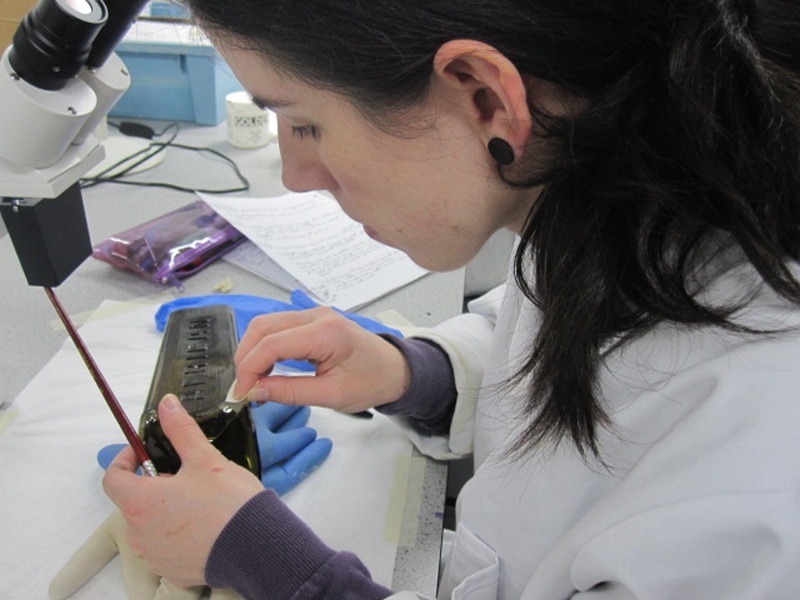 The support given by the Anna Plowden Trust towards my MA studies has been invaluable. The scholarship enabled me to take up my place on the course, and so opened up a world of experiences within the heritage sector. I have been able to attend conferences, workshops and participate in a hands-on capacity. One of the most memorable experiences of my studies has been presenting my initial research findings at the 9th International Workshop on the Digitisation of Holocaust Materials, held at the Yad Vashem World Centre for Holocaust Research in Jerusalem. It was both a daunting and enriching experience. I am hoping to work within a museum once I have graduated from the MA. I am eternally grateful to the Anna Plowden Trust for the support shown to me and the opportunity I have been given. Caroline working on site at Bradford Industrial Museum.